The 46.2 meter motor yacht Lisa IV, has had a further €1,000,000 price reduction. The M/Y built in GRP by Italian yard Arno to a design by Andrea Bacigalupo, was delivered in 2009 as a Leopard 46 model with a refit in 2013. A stylish interior by Cristiano Gatto accommodates up to 12 guests , a vast and comfortable saloon, filled with natural light, she also boasts a huge aft deck with a large sun bed and al fresco dining for 10. In fact, the aft deck is so large that it can host cocktail parties for up to 45 guests. Her high performance and speed of up to 33 knots via three 2,450hp MTU engines. 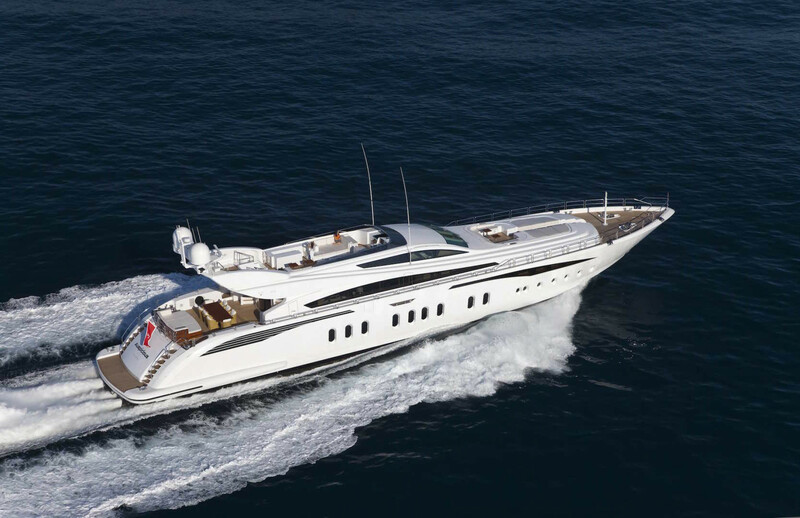 Lisa IV is now asking €8,900,000 and comes with a Balearics charter licence.